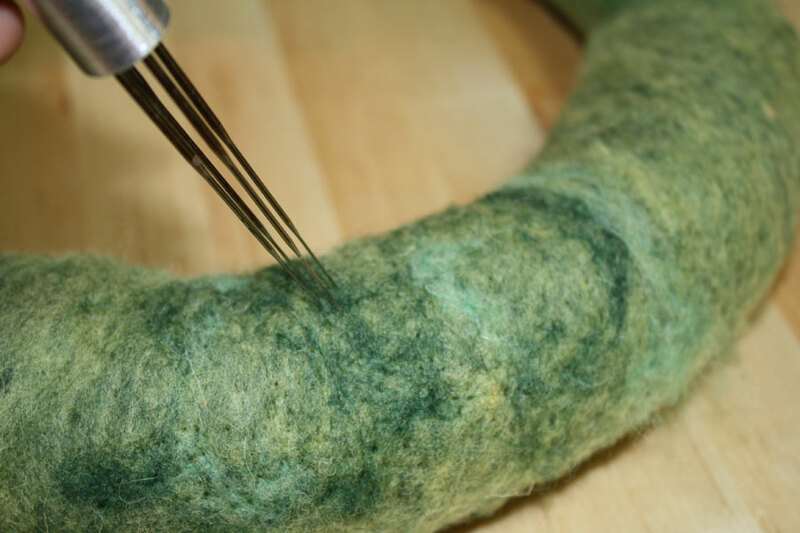 Needle Felted Mossy Wreath – A Free Needle Felting Tutorial – LIVING FELT Blog! 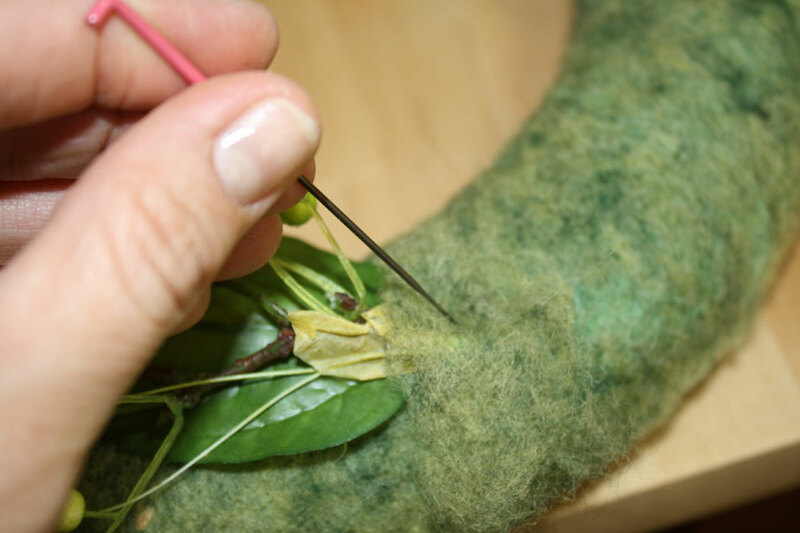 I wanted a moss-like spring wreath for my office, and this simple and fast project for needle felting a wreath could be done a thousand ways! Start with your desired colors of wool, a foam wreath, a sturdy multi-needle felting tool or single felting needles and adornments of your choice. 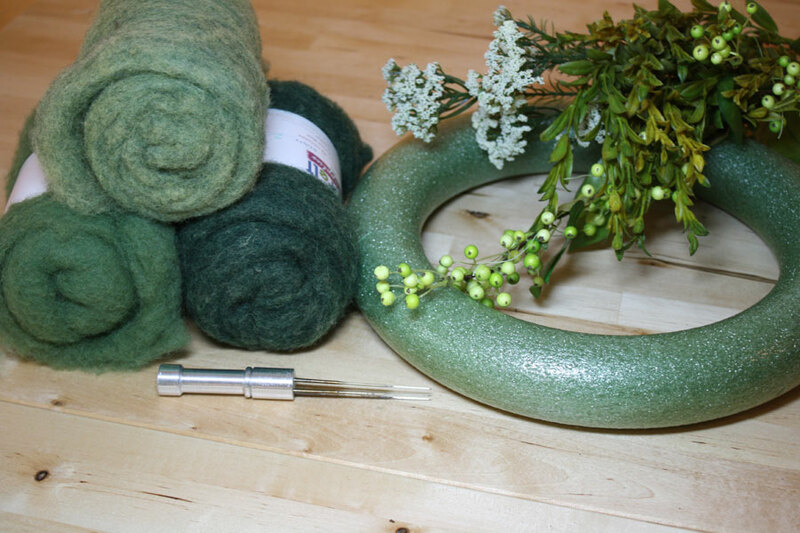 We used Mc-1 Merino-Cross Batts in 3 shades of Green (we have 10+ shades of green in this line) and the 4-needle metal felting tool. 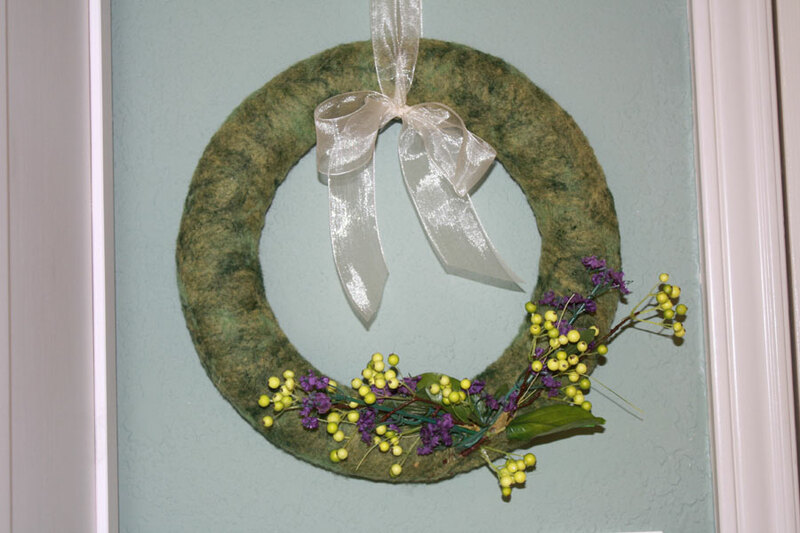 Start by wrapping a single layer of wool batting around your wreath. Our starting piece was approximately 18″ long. Wrap, gently overlap the edges and do not allow it to twist. Add light and dark colors as desired and begin needle felting from the starting point of your wrap, working from one side to the other. Make sure to needle felt all around the wreath. Make sure to bring your needles in and out at the same angle, no bending…the needles could break in the foam. 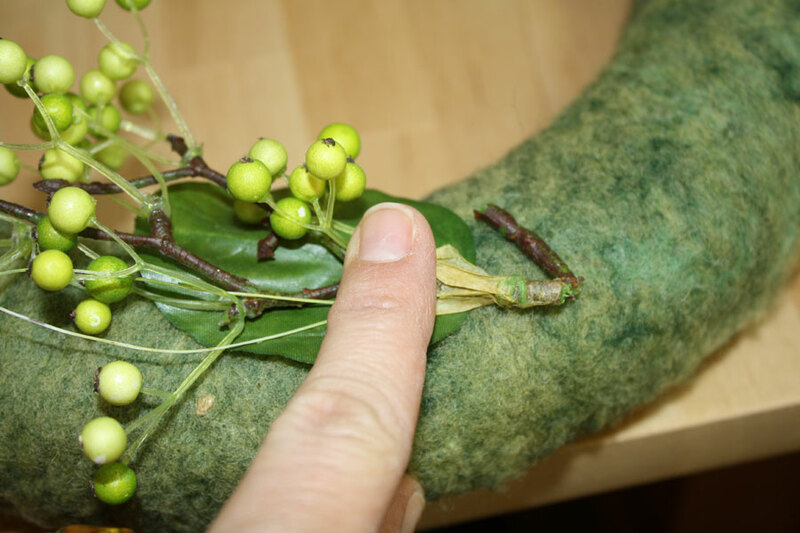 Cover your entire wreath in this manner, adding another strip only after you have needle felted the previous layer. Give the entire wreath one more pass to firmly needle felt all wool in place. Add any adornments. We chose simple silk floral stems. Bend the ends to brace them on the wreath. Add wool over the bend and needle felt the wool to anchor the stem in place. If neccessary, strip off any plastic and expose the wire underneath. Poke this into the wreath and cover/anchor with needle felted wool. Add a ribbon or hang from a hanger & enjoy! Make different wreaths for different seasons, and remember to send us your photos! We look forward to seeing yours.